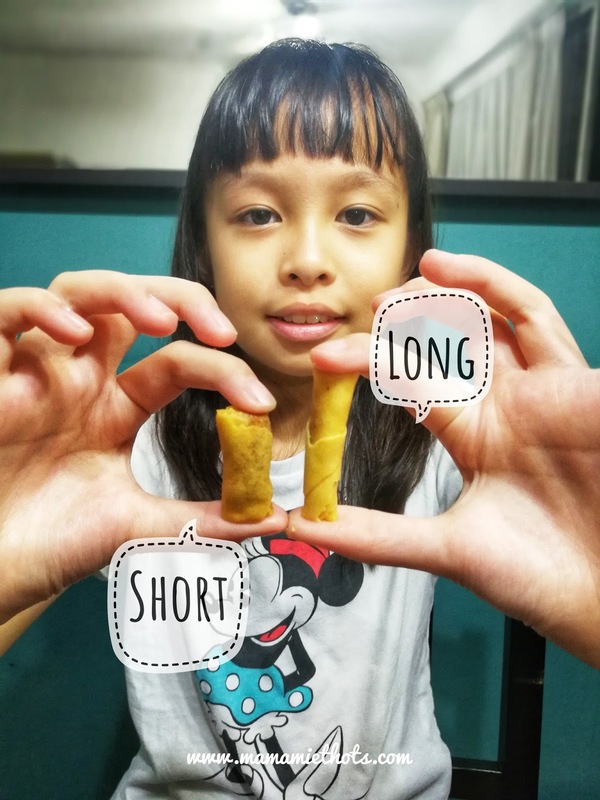 Chinese New Year (CNY) is approaching in about one-month plus. It is our Chinese tradition to buy new clothing, new shoes and etc. Not forgetting to stock up on drinks and lots of Chinese New Year goodies at home. 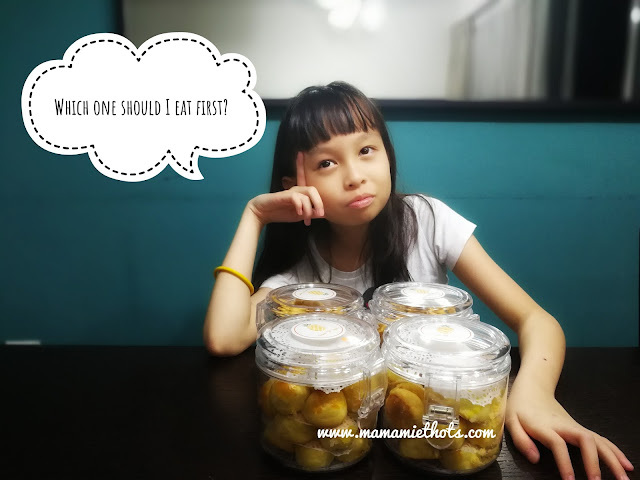 Thanks to Pineapple Tarts Singapore, we get to savour some of these yummy goodies before CNY. 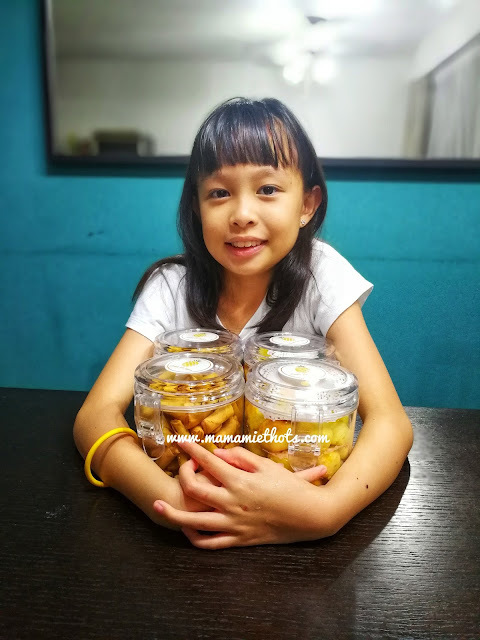 Pineapple tarts are our house's top favourite and the fastest to finish in record time among other goodies. The sweet and sour pineapple filling is definitely very enticing to the young and old. Pineapple Tarts Singapore is selling two types of pineapple tarts on their online platform. 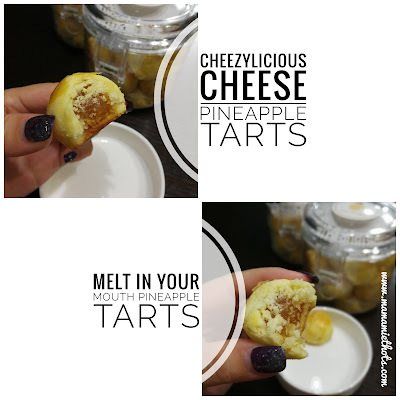 The Cheezylicious Cheese Pineapple Tarts & Melt In You Mouth Pineapple Tarts. The saltiness of the parmesan cheese helps to balance out the sweetness from the pineapple paste. It made a great combination between the sweet and savoury taste. 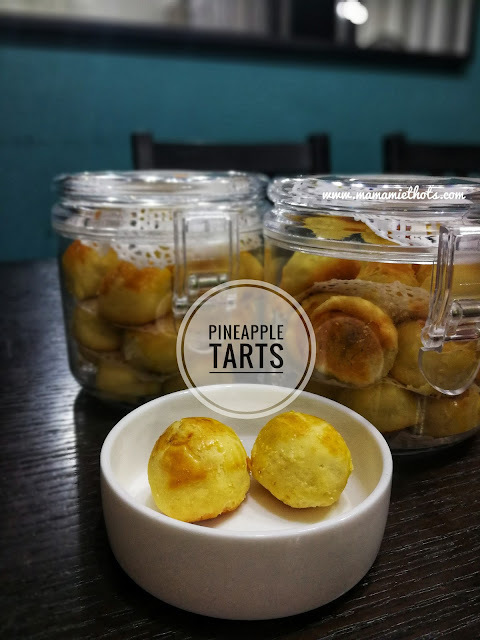 These pineapple tarts have more buttery taste and softer in texture. The whole pineapple ball basically melted in my mouth. Really yums! This is my kid's favourite coz they can't take the hot stuff. 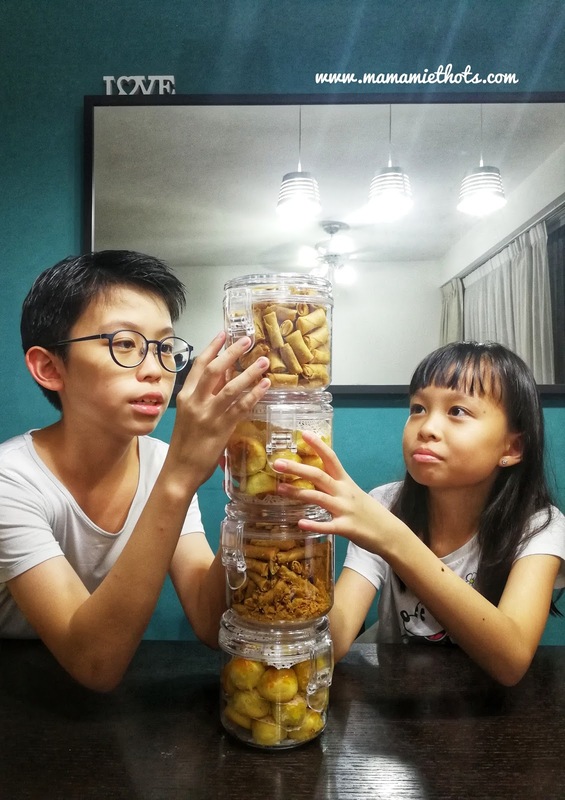 Finally, they can taste the sambal prawn without feeling the heat in their mouth. 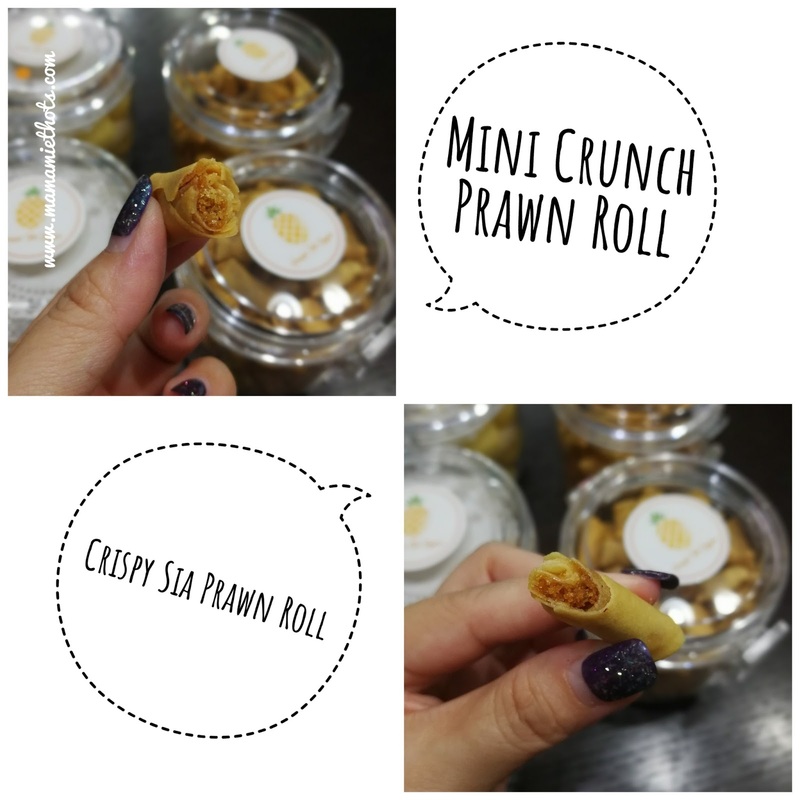 The size is slightly shorter as compared to the regular prawn roll. Crispy Nonya prawn rolls which I can taste the spiciness from the sambal. They made this with their very own recipe and I must say these go very well with beer or cider *laughed*. When you have bored children, just ask them to play the stacking game. Just kidding! Even my girl declares that all these are HERS!!! Pineapple Tarts Singapore's online platform also sell other CNY goodies such as Kueh Lapis, Cashew Nuts, Fried Crab Sticks and Love Letters. Currently, they are having an online sale with delivery service countrywide at a fee of $10 and free delivery on orders above $70. They are open for pre-orders now and there is a 10% discount on all orders made before 10th January 2018 using the code "HUATAH" at checkout. Disclaimer: These CNY goodies were sent to us for review purpose. No monetary was compensated, all opinions are my own.